Working with an experienced attorney to create an estate plan is one of the most important things you can do for yourself, your family, and your loved ones. Unfortunately, many people postpone or neglect this vital process. Life is unpredictable and passing without an official plan for your house and other assets can lead to uncertainty and disagreements. Whether you have been entrusted to oversee your loved one’s assets or want to plan your own estate, the talented attorneys at Lewis Kuhn Swan PC can assist with wills, trusts, and other estate planning matters. Call us today at 719-694-3000 to discuss your unique needs. We help clients from Colorado Springs, Pueblo, and Castle Rock. If you become incapacitated or pass away, you want to know that your loved ones will be taken care of, your assets will be safeguarded, and your wishes will be respected. The purpose of estate planning is to make the administration of your assets as straightforward and expedient as possible. A comprehensive estate plan gives you utmost control over the distribution of your assets. Our attorneys will work with you to craft an estate plan that addresses your unique needs. We can skillfully sort out complicated family and financial situations. Wills are arguably the most well-known and conventional type of estate plan. 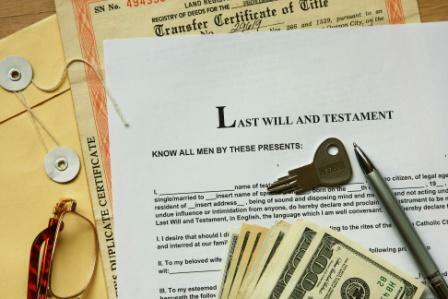 A valid will permits an individual to delegate how his or her estate will be administered upon his or her death. Creating a will before you pass allows you to feel confident that your assets will be distributed according to your instructions, barring the document being challenged for valid legal reasons. Failure to create a will can lead to disputes among family members and confusion regarding the management of your estate. A trust is another estate planning tool that gives you control over how your assets will be distributed after you pass. A trust can replace or complement a will and is also used to help manage your property while you’re alive. There are numerous reasons why you may want to create a trust as part of your comprehensive estate plan. A trust is a flexible and advantageous estate planning option. However, creating and executing a trust is complex, and properly coordinating the transfer of assets to the trust is just as important. Our estate planning lawyers can help you navigate your options and determine the appropriate trust, or trusts, for your situation. Additionally, our award-winning team can help you if you require trust administration assistance after a grantor has passed. Because estate disputes usually involve loved ones and family members in conflict, disputes over wills and trusts can be incredibly chaotic and emotional. These delicate situations require the counsel of a respectful, detail-oriented attorney who is deeply familiar with Colorado’s trust and estate laws and is also well-versed in dispute resolution. When you’ve lost someone you love, the last thing you want to do during the grieving process is dive headlong into legal proceedings. If your loved one named you a personal representative under his or her will, you have been entrusted with a unique responsibility to oversee the financial affairs of the deceased. However, the process of this responsibility is not always clear and requires the counsel of an experienced attorney. Contact our lawyers today for help navigating your role as a personal representative. To learn how Lewis Kuhn Swan PC can help your will, estate, or trust matter, please call us today at 719-694-3000. We proudly serve the Colorado Springs, Pueblo, and Castle Rock areas of Colorado.